Design your own 5×5 Scrapbook Pages online! Incorporate your new memories with your old by adding digital memories to collage prints designed to fit in a scrapbook. 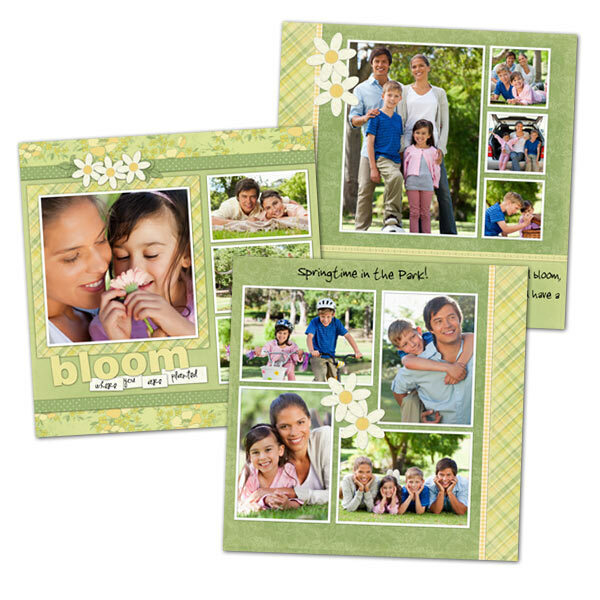 Create a scrapbook one page at a time with square prints. Choose from 5×5, 8×8, and 12×12 from many background designs and layouts. Remember every event in full detail with personalized scrapbook pages. Create personalized scrapbook pages without the need for scissors and glue. MailPix features multiple photos on a wide-variety of designs with the option to choose bordered prints as well. Regardless of the event, there are so great designs including wedding, mother’s day, graduation, summer and even blank designs for you to make all your own. Our other Scrapbook Page sizes include the 12×12 Scrapbook Pages and the 8×8 Scrapbook Pages.